This webpage has been archived and as such, it will not be updated anymore. It remains on our website for reference purposes only. To all those who purchased solar eclipse glasses from us, thank you! We're now sold out. We wish you a clear sky and hope you enjoy the eclipse! Order your solar eclipse glasses today! The response that we have received over the past few weeks has been tremendous! If you are reading these words, chances are you're a Canadian and have arrived at this website after doing a Google search for "solar eclipse glasses" or something like that. Somehow we have managed to rank high on that search, even without any SEO whatsoever! Anyway, on this page you will find the information that you need to know in order to purchase solar eclipse glasses from us. Please keep in mind that we are a very small, non-profit, organization and we have no paid staff members, just a very small group of hard-working and dedicated volunteers led by James Durbano. The Big Sky Astronomical Society is selling solar eclipse glasses, but only for a limited time! They cost ​$4 each or you can get ten of them for just $30, but supplies are limited and so you must act fast before we're all sold out. If you live in or around Calgary, you can pick up the glasses in person, on August 6, from 2:00 PM to 4:00 PM at a location - in Calgary - that we will disclose only to those who send us an email message requesting this information. If we still have some solar eclipse glasses remaining after August 6, we will make one more trip to Calgary sometime between August 9 and 14. If you live in the Okotoks - High River area, you can make arrangements to meet us somewhere, in one of these towns, and purchase some solar eclipse glasses in person. You can do this on almost any day, up to and including August 15. Alternatively, for those who live between Calgary and Lethbridge, or anyone else who is willing to drive a long way, we will have at least 50 solar eclipse glasses for sale at the Big Sky Observatory on August 11 AND August 12. That's 50 on EACH night! To learn more about these upcoming events out at the Big Sky Observatory, check out our Events page. Please note that on August 6, August 11, and August 12 all sales will be cash sales and all sales are final. However, if you’re solar eclipse glasses are damaged or are not in perfect condition, we would be happy to replace them on the spot. Please be sure to check them before you leave. 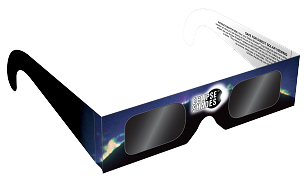 ​The solar eclipse glasses that are being sold by the Big Sky Astronomical Society are exactly as shown above. They are manufactured by Rainbow Symphony and you can read about their safety certification by clicking here. For those of you who have been contacting us from across Canada, we can mail you some solar eclipse glasses, but keep in mind that the further away you live, the earlier you need to place your order because you have to allow for travel time. Please note that we will not be shipping any solar eclipse glasses outside of Canada. Sorry! All of the solar eclipse glasses that we will be shipping out will be inside bubble envelopes, to protect them while they’re in transit. For those of you who would like us to mail you some solar eclipse glasses, there is no minimum order, but there is a maximum of 10 for individuals. We may consider selling more than 10 to an organization, if certain conditions are agreed to in advance. The shipping charges are listed below. 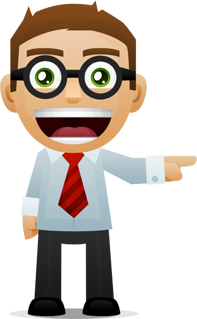 Please contact us if you want an Xpresspost quote for your area. Please note that if you DO NOT select a method of shipping that includes tracking, we will NOT be responsible for shipments that don’t arrive. We would be happy to provide you with a short video (approximately 8 seconds long) that clearly shows YOUR package being dropped into a Canada Post mailbox. Once it has been mailed (via regular mail) it's out of our hands and there is no tracking. If you want tracking on your package, you need to select either Registered Mail or Xpresspost. Note: The $5 Regular Mail charge is for all of Canada and it’s for any number of solar eclipse glasses, up to 10. If you would like to have some solar eclipse glasses mailed to you, please provide us with your address and be sure to let us know which shipping method you would like. All payments (for solar eclipse glasses that are being sent in the mail) need to be via interac e-transfer, which you can do if you have online banking. The email address that you should use for the interac e-transfer will be provided to you when you send us an email message. Please be sure that we can answer your security question, which you get to choose. The security question is a mandatory part of every interac e-transfer. We will send your eclipse glasses in the mail after we have received and processed your payment. Please note that some financial institutions have a $10 minimum amount associated with interac e-transfers. Therefore, if you order just one pair of solar eclipse glasses ($4) and select regular mail ($5) for shipping, you may have to actually send us $10, instead of $9, which is what your total would be. However, upon request, we can put a loonie into the envelope with your solar eclipse glasses. We do not accept credit cards, PayPal, Square, or money orders. Finally, here is one last thing you should know; the absolute last possible day to get solar eclipse glasses (from us) is August 14th, but I’d suggest that you get everything arranged at least a week before that. I look forward to meeting many of you, in Calgary, on August 6 and I wish you all a clear sky on August 21st. P.S. Be sure to check out our other solar eclipse webpage! Click HERE to visit our other solar eclipse webpage.